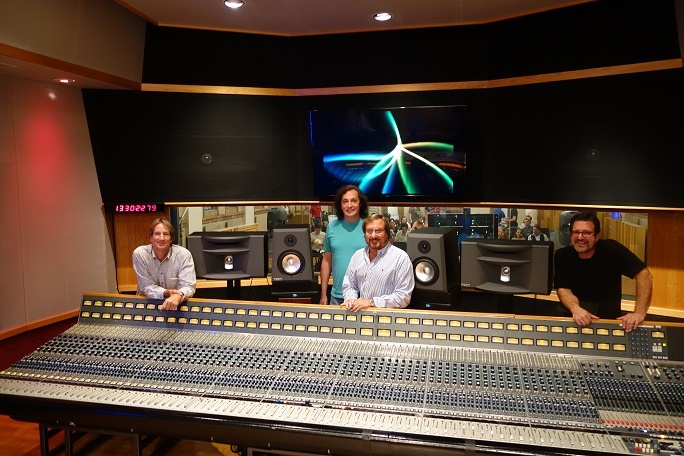 Ocean Way Nashville recently hosted Ocean Way Audio and Studios founder Allen Sides. Sides was in town to introduce his Ocean Way Audio HD4 studio monitors and PRO 2A monitors to the Nashville AES chapter and public. Students from Belmont University’s Audio Engineering Technology Program and Middle Tennessee State University’s AES chapter attended the event. Pictured above (L to R) are Allen Sides, Sal Greco, Rick Plushner, OWA and Pat McMakin.